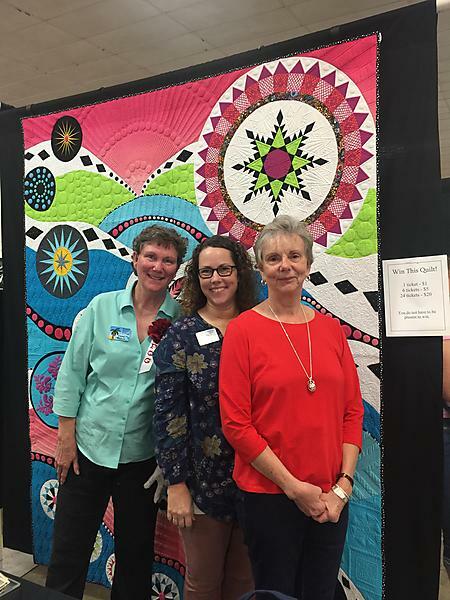 Our guild had our biennial quilt show in March and it was so fun to visit the quilts I had worked on over the past two years. 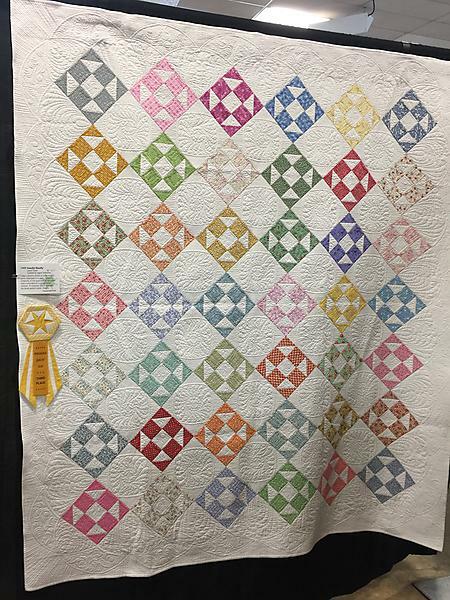 This was our guild’s opportunity quilt that was designed and made by the three of us and then I had the opportunity to quilt it. It was hard to say good-bye but the lady that won it was so excited. 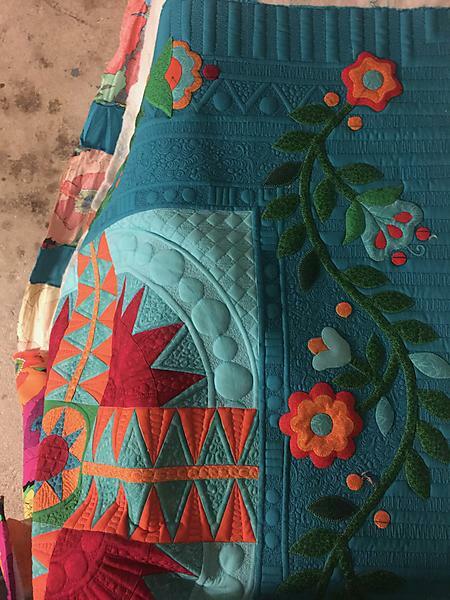 This quilt had special instructions when it came to me – “lots of feathers”. 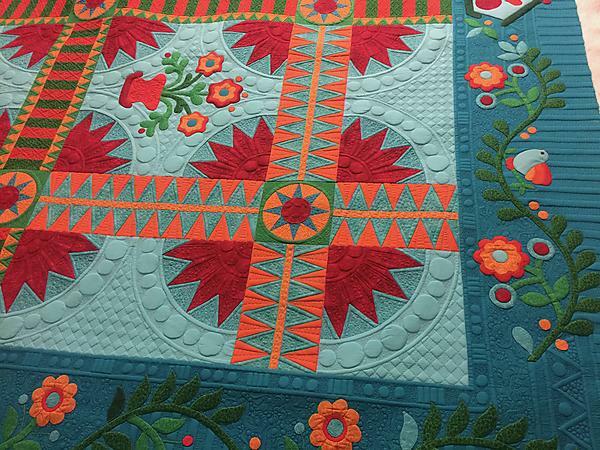 I am always drawn to quilts with white backgrounds – they always look so fresh. 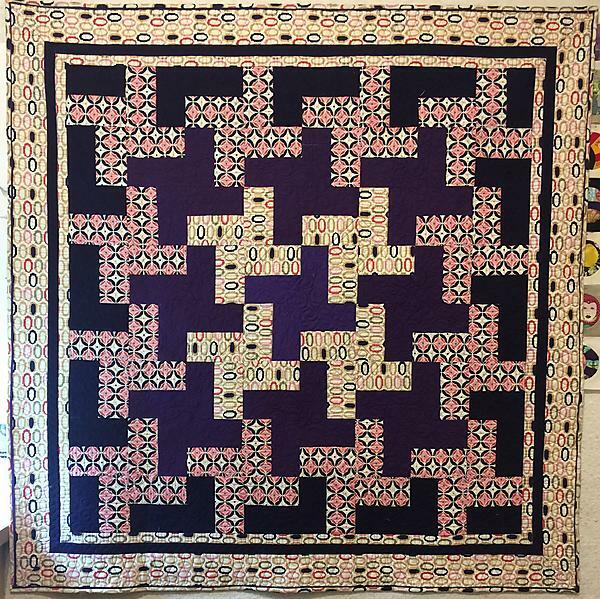 This quilt was a quilt that was started about 30 years ago. 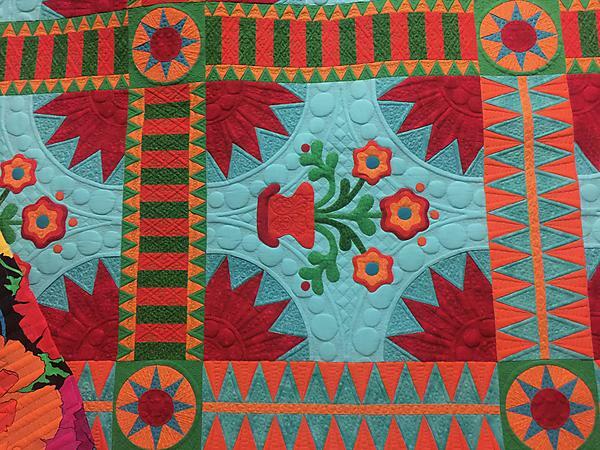 I had so much fun quilting this for my friend Bernice. I had forgotten how big it was. 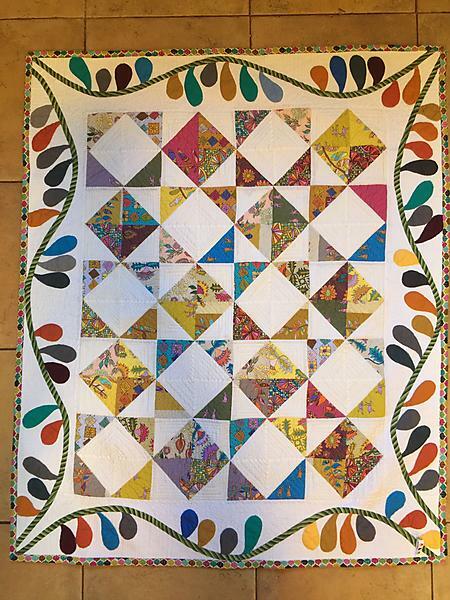 Our monthly sew group have been working on this quilt for several months. Each month we work on projects that will be given to others. 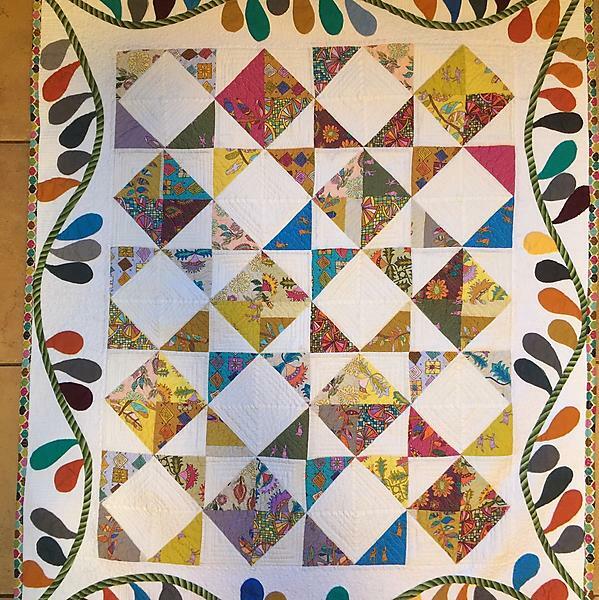 This beautiful quilt will be given to a wonderful lady that needs encouragement. 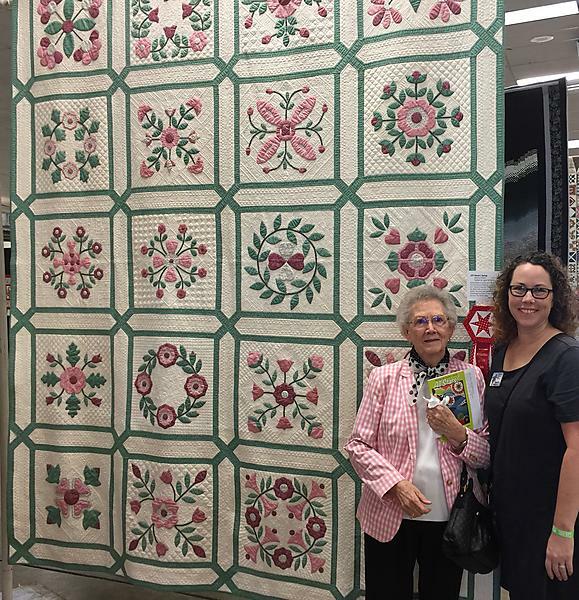 Her husband had a stroke about a little over a year ago and she has become his caregiver as well as caring for her children. It has been awesome to work on this project. 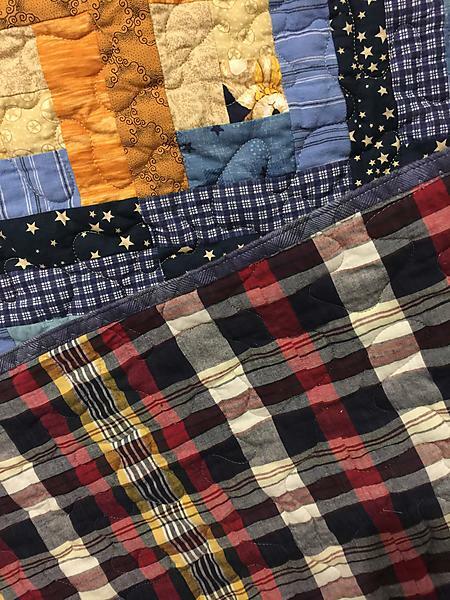 One of the ladies made a beautiful flanged binding to finish off this quilt. 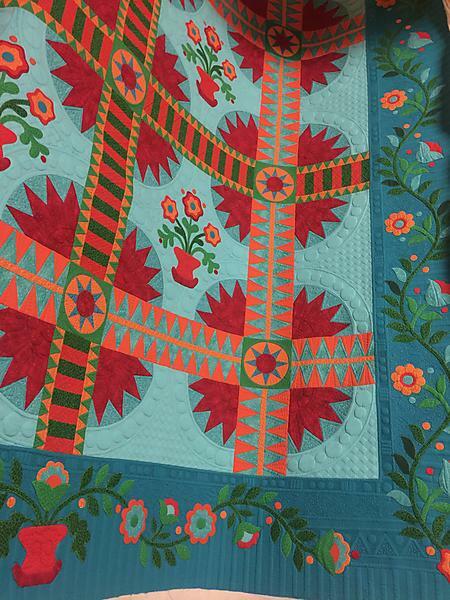 The quilting used 3 simple designs and turned out so well. 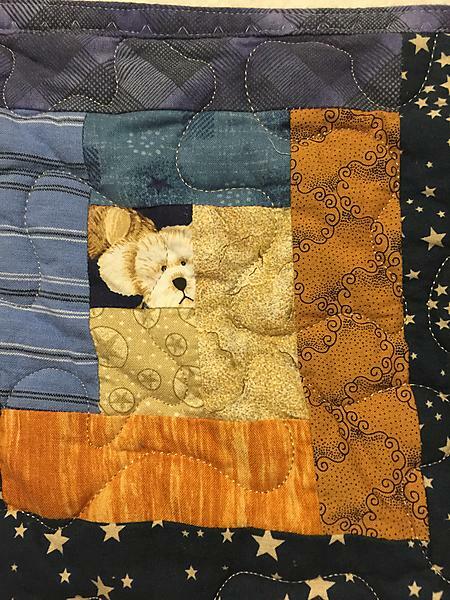 This baby quilt was made by our sew group. 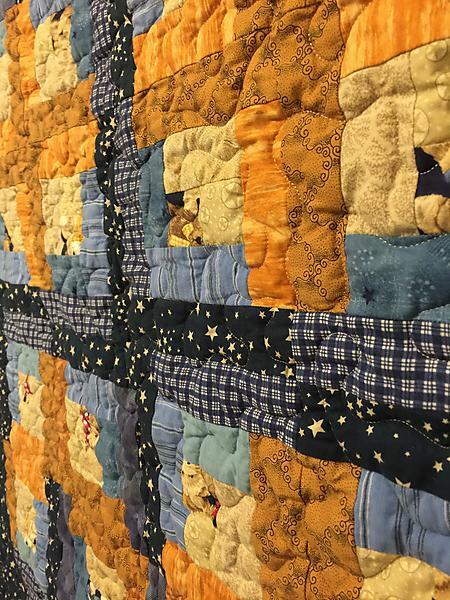 It is for a sweet family that just had baby # 9. 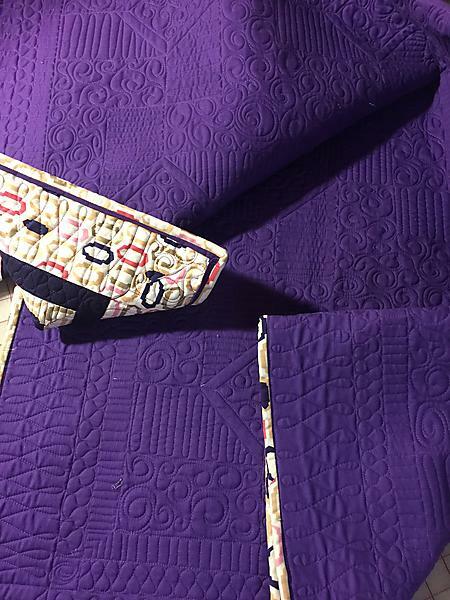 I do not normally meander a quilt but this baby was already born and I am loading a quilt that will take a few months to complete. 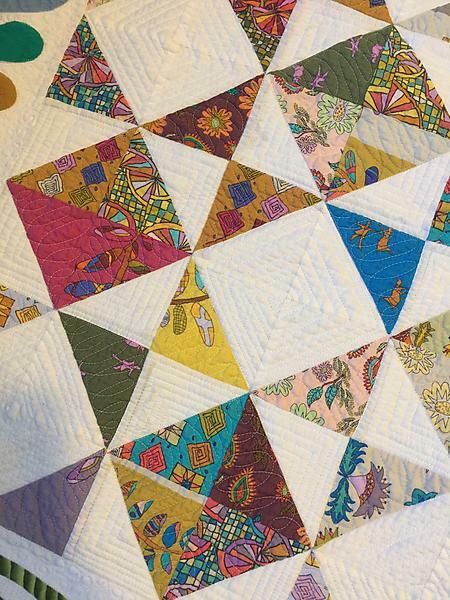 The log-cabin blocks were started several years ago. 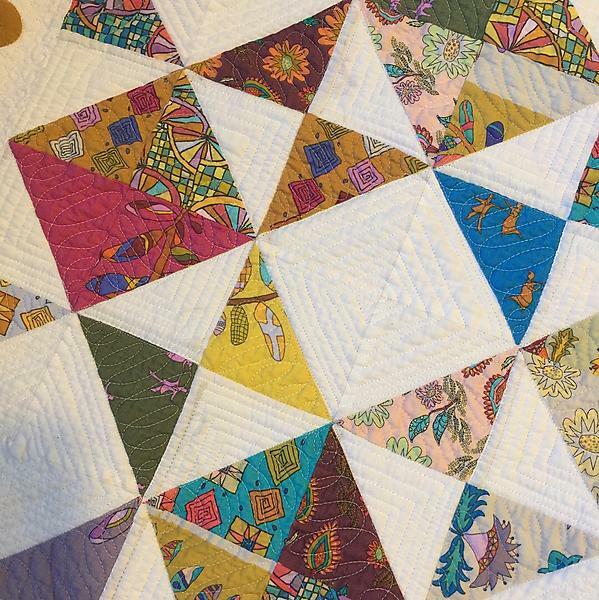 I am so happy to have this UFO finished. 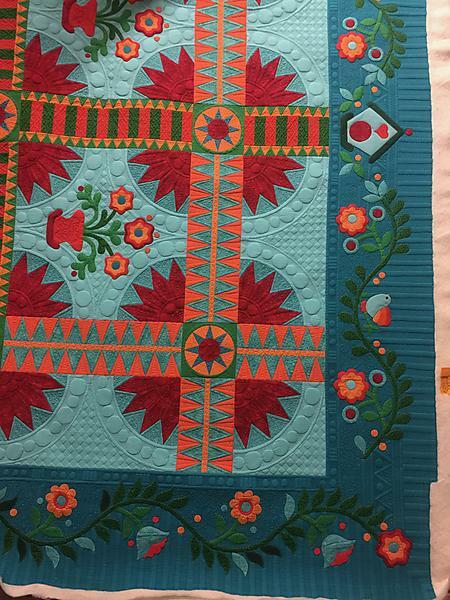 I wish I had caught that the block setting was wrong before putting the borders on – we will just say that it makes it an one of a kind. 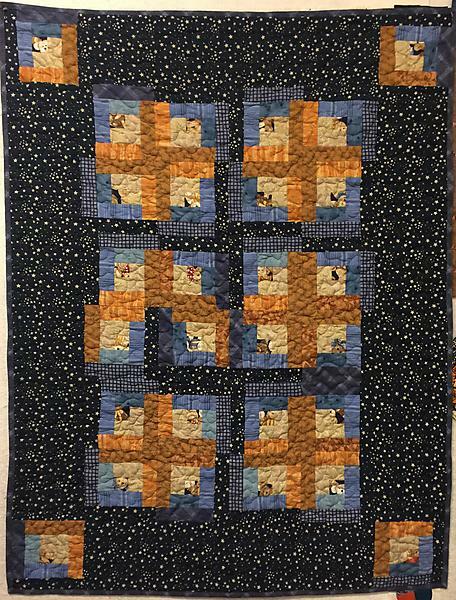 I have also had this plaid backing for quite awhile – also perfect for this family as they own a small farm and the other boys love their cowboy boots. We had another “group” of babies born at church this year. 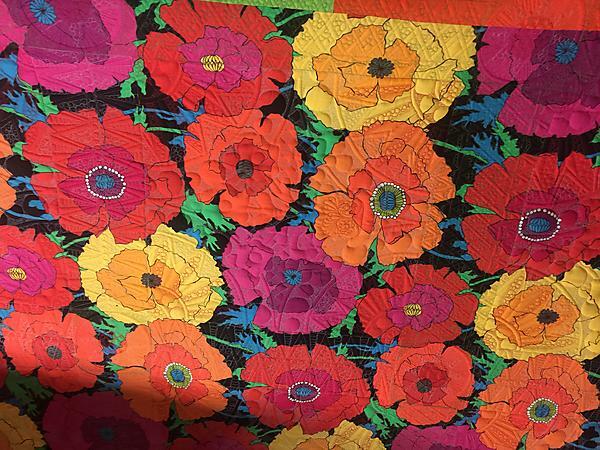 this is another quilt that the Sew Group got to work on. 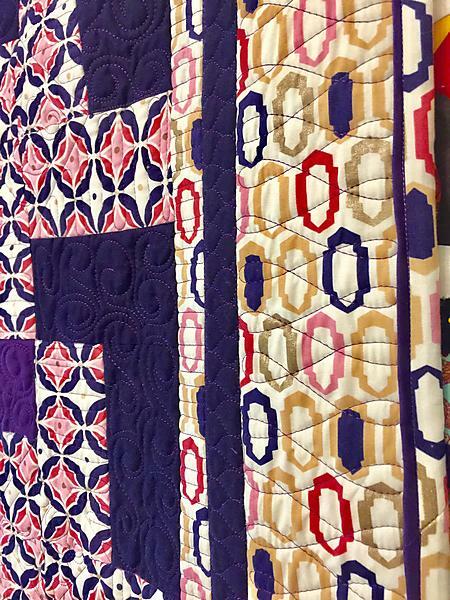 I received a bundle of 5 inch squares in the mail and thought they would work well with white. 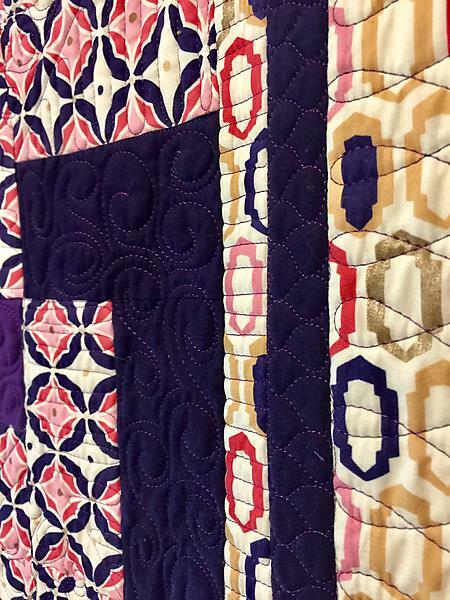 Part of the purpose of the Sew Group is fellowship but the other part is teaching some ladies how to quilt. 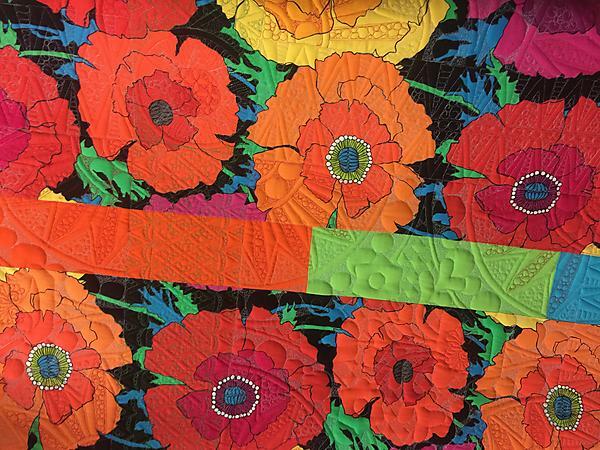 A few of them have sewing/quilting experience but most of them do not. 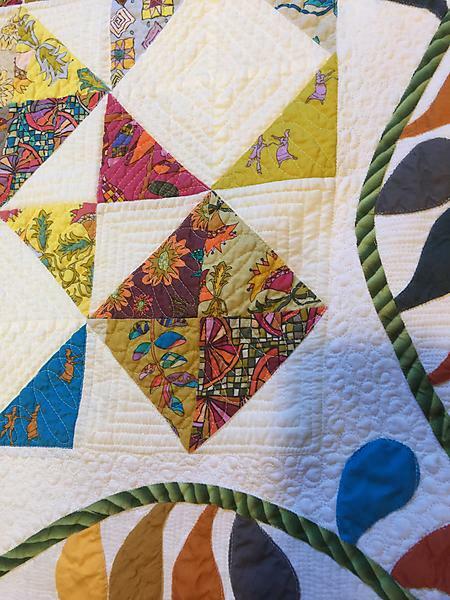 One of the ladies brings her elementary aged daughter with her who loves to do anything with fabric, even use the sewing machine. 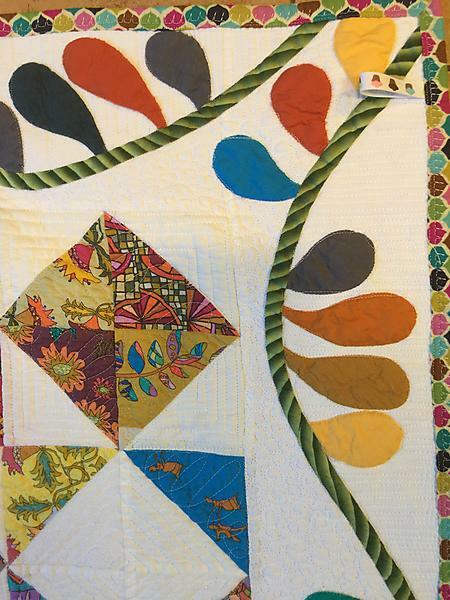 For this project she traced all the leaf shapes onto the fusible web and then was able to arrange the border. One of the ladies started the machine appliqué during Sew Group and then ended up taking it home and finishing it for me. =) She had a few projects in mind that would need machine appliqué so she was thrilled to learn this technique. 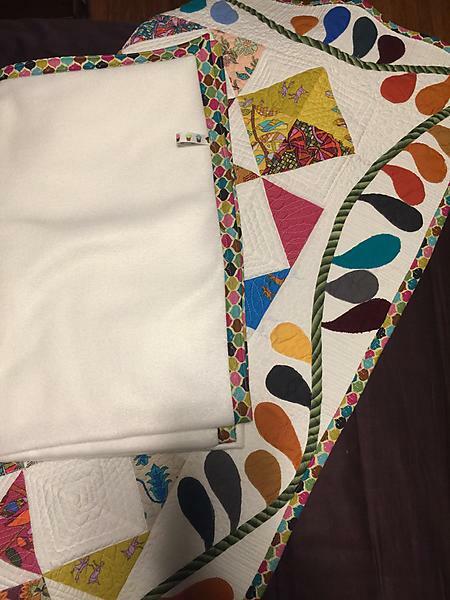 Since this was a first baby for this couple, I decided to make a matching white fleece blanket with a matching binding. This was a fun gift to give to this young couple.